Would you like visibly flatter abdominals? This program is specifically designed for you to look great, but more importantly, to feel amazing. Focusing on core strength, these exercises combine stretching and strengthening, with breathing and coordination to create a balanced body. Crunches are not featured in this program because the exercises are specifically targeted to work the deep layers of abdominal muscles. increase your stamina during a busy day. This is an instant download pdf product, designed specifically for viewing on iPad, desktop and tablet. This means you can get started straight away. 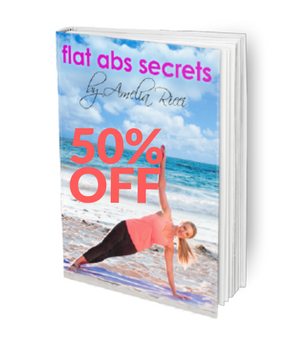 Save 50% – Get Flat Abs Secrets Instant Download NOW!